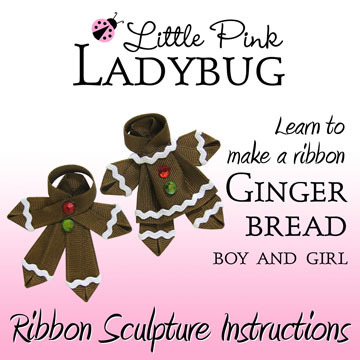 Learn to make this exquisite Gingerbread Boy and Girl! Originally handcrafted by master ribbon sculptor, Karyn Ranzau. You will have each design carefully broken down step by step to recreate these mini masterpieces for yourself. 59 photos and 18 full pages of simple instructions will guide you through this engaging art.